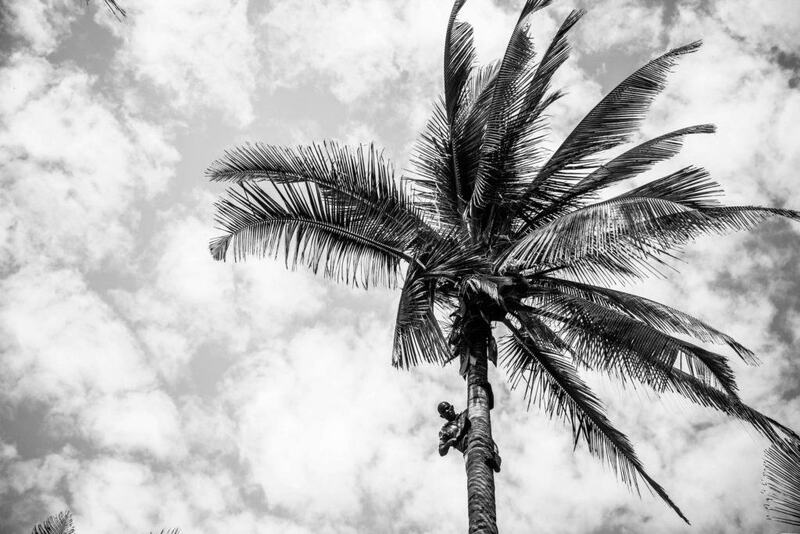 When we set out to travel Mozambique we were unsure of what was in store. However after a month in the country it turned out to be one of the best decisions we made in Africa. 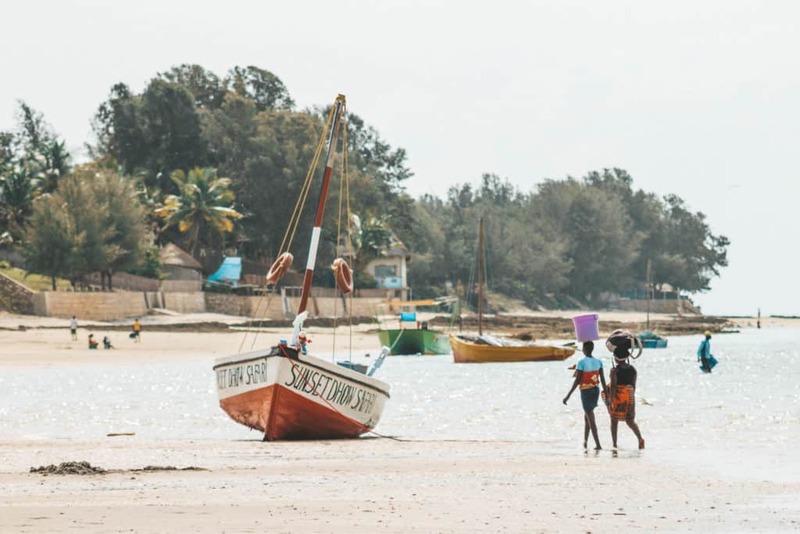 Traveling the Mozambique coast has not just been a highlight of our time in Africa, but has been one of our favorite regions to travel ever. I have to admit that there is police and governmental corruption, a small rebel army, economic uncertainty, poor roads, slowly improving infrastructure, and add a visa fee. It does not sound appealing to most visitors. 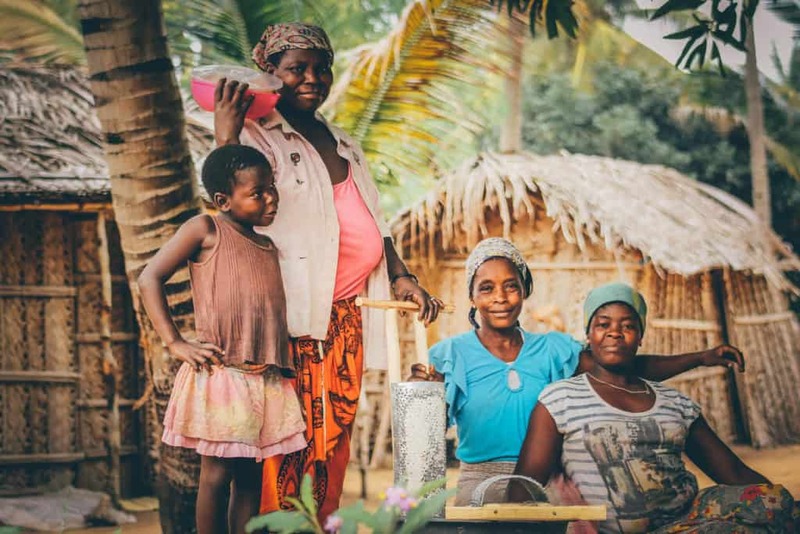 However, there is another side to traveling Mozambique that comes in the interesting history, Portuguese architecture, warm hospitable people, stunning beaches, and amazing Afro/Portuguese food. 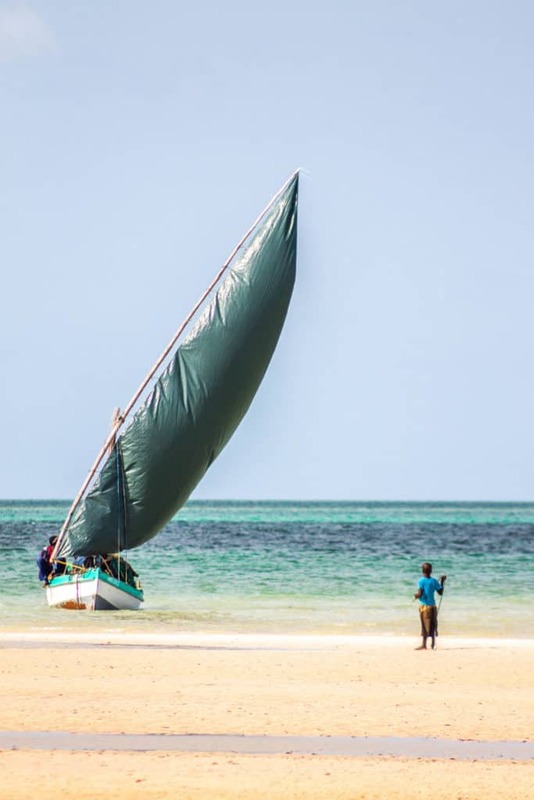 Here is what it’s like to travel in Mozambique and everything you need to know to have a great holiday in Mozambique. All travelers (except citizens of Swaziland, South Africa, Tanzania, Botswana, Malawi, Mauritius, Zambia and Zimbabwe,) need a visa to enter Mozambique. We found information for obtaining a visa scattered across the internet. Do you need to get a visa beforehand or is a visa on arrival possible? How much is a Mozambique travel visa for Americans arriving? All these simple questions were very ambiguous online. I get a lump in my stomach every time we cross a border in Africa, thoughts always race through my head. What shenanigans will they come up with to try and squeeze us out of our money? How long is this border going to take me? Am I following all the rules? We decided to take our chances and arrive by land from Swaziland without a visa. We crossed over the Goba border, which is open 24 hours, and were the only visitors at the border. Thankfully the whole process was fairly painless and took about one hour. At the border, we had to show proof of our accommodation arrangements and have a letter stating that we could drive our rental car into Mozambique. The cost for Americans traveling into Mozambique overland was 900 Rand (or 70 USD) – Cash only. We paid in South African Rand, but could have also paid in USD. We have no idea if this was the honest price or the price from a greedy border official. With no signs around and no information online, we had no choice but to pay what we were told. However, we did meet another American who paid 500 Rand for a visa on arrival at the airport. Prices in Mozambique seem to change for no apparent reasons whatsoever, just luck of the draw. If you plan on driving a car in Mozambique you will need to get third party insurance. This can be obtained at the border for 220 Rand, and is good for 30 days. Even if you have car insurance you will still need this “special” Mozambique car insurance as well. Don’t get had by the runners when entering or leaving Mozambique. As soon as you drive up in your car, tons of people will run after you demanding your paperwork to “help” you, stating that it’s “their job”. The goal is to disorient you, take your documents, and then demand a tip to get them back. Don’t fall into their trap and never hand over your passport. Once someone has your passport you are basically a prisoner to them and their demands, and I wouldn’t expect the police to help you. That being said, we had zero problems or hassles entering at the Goba border from Swaziland, it’s a quiet less used border crossing. Yet we did encounter these runners leaving and traveling onward into South Africa. Most international flights will be serviced in and out of Maputo. From Maputo, you can easily take a smaller aircraft to some of the more popular destinations. Many of these flights connect in Johannesburg and from there it is a couple hour flight onward to Mozambique. We’ve had great experiences with South African Airways. The Mozambique currency is the new Metical; however, South African Rand and USD are usually welcomed. Always plan to have cash on you as credit cards have not really caught on yet and ATM shortages (outside of Maputo) are quite common. We particularly found trouble when we arrived with zero Metical on us and no ATM’s in sight with a three-hour drive ahead. We pulled over to ask where the nearest ATM was and got laughed at…so make sure to have some backup cash at all times. Officer/Military man with gun: Bom Dia, how are you? Officer: Where are you coming from? Us: Inhambane, we are going to Vilankulos. Officer: Ah hah! Inhambane is my home. Did you like it? Us: Yes, it was beautiful we liked it very much. Officer: AMERICA!? I want to go there. Us: Yes, it’s a very nice place to live…so what can we help you with? Us: Ahhh, here we go. How about a guide to Kruger National Park? Yano, lots of lions in here to read about. Officer: Oh, I love lions. This will help with my English to talk to tourists, you see. Thank you – have a nice time in Vilankulos! Good bye! …And off we drive into the sunset (midday). We still have no idea why we were pulled over, but arguing was not worth it to us. Rather, just give him something small and be on our way. There are police stops everywhere in Mozambique, and I believe we just got lucky with only being pulled over by a friendly guy. The police don’t discriminate either. We saw locals and tourists getting stopped, black and white. Our story isn’t to say that police can be bought by bribes, just let them initiate the conversation. Never be the one to suggest a bribe, and don’t let the cops ruin your Mozambique holidays. It’s worth noting that the country has some “Mozambique travel vehicle requirements,” as well. Things like traveling with two reflector vest in each car paired with triangles are mandatory to have. We joined this Facebook group before going to stay up to date on all information regarding Mozambique travel. There is basically one main road in Southern Mozambique going from north to south. If you travel outside Maputo at all then you will without a doubt find yourself on the EN1. EN1 is paved and is pretty pothole-less in the south, but it’s advised to always pay attention because there are children walking everywhere and a neverending amount of speed traps. A joy of overlanding Africa. We didn’t know this when we entered Mozambique, but almost any road off of the EN1 should be driven on with a 4×4 only. We had a 2×4 bakkie and got stuck a few times and had to get help from the locals. 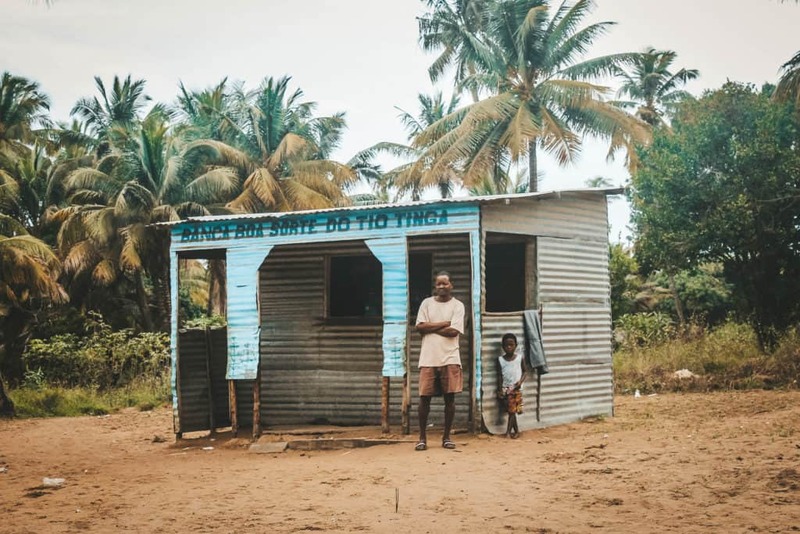 I’ll just say it…Mozambique is a 4×4 country, and you’ll have a much better and stress free time if you have a four by four. Night Driving in Mozambique is also not advised. The internet in Mozambique is developing. However, this should not be all that surprising, this is Africa after all. Chances are you didn’t come to be online anyways. 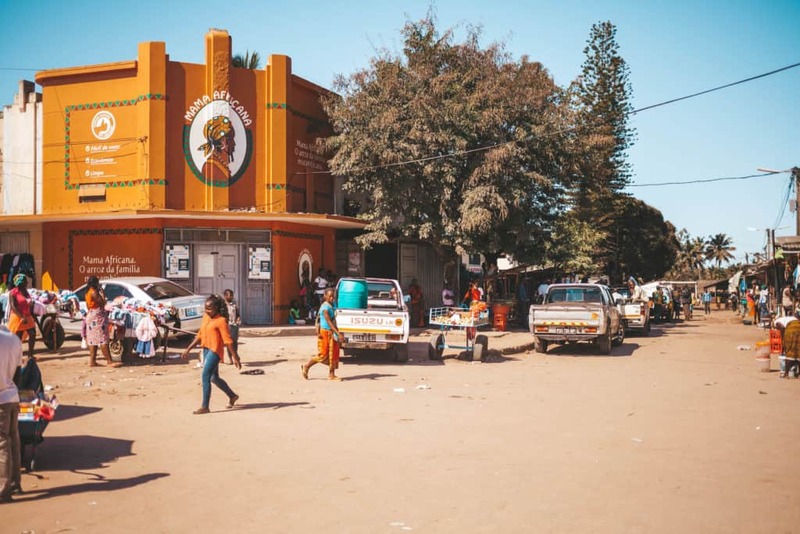 Every place we stayed while in Mozambique either didn’t bother having WiFi or had nonworking “internet.” If you find that you must be connected while traveling then we highly recommend getting a sim card. The two main service providers are Mcell and Vodacom, and you won’t be able to shield your eyes from the crazy amount of advertising for these companies in the country. Registering a sim card should be done at a real store. You will find tons of people on the roads with Vodacom vests on selling top-up cards, but do not register a new sim with them only buy their airtime. Data is extremely inexpensive (500 MT for 5 GB,) and works decently well. The food in Mozambique is nothing short of wonderful. 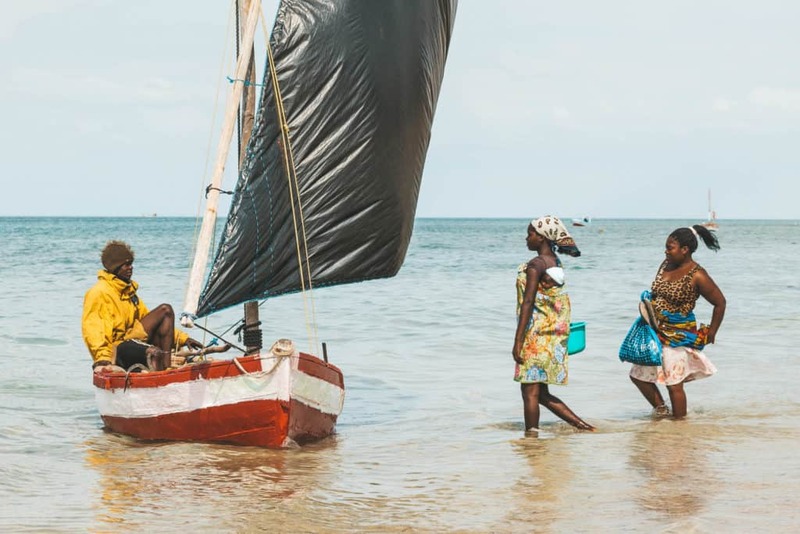 Most of the population lives on the Mozambique coast so hopefully you like seafood! 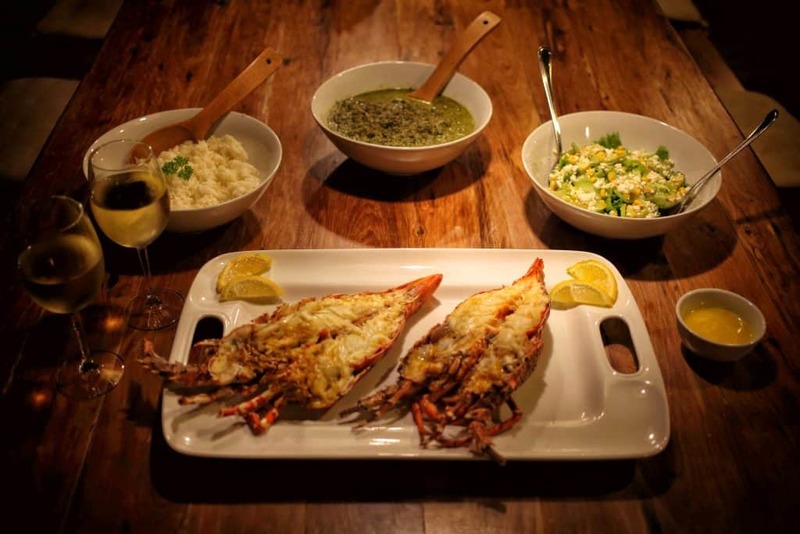 Crayfish, prawns, and crab are caught along the shores and thrown into even the most basic of dishes. Matapa is another usual flair that may look questionable on the surface, but is actually a fantastic blend of coconut, cassava leaves, and a seafood variety (clam, crab, or prawn) – a must try! A good meal can be had for 200-500 Mets. 2M is the national brew of Mozambique and a large bottle will run you all of 50 Mets. 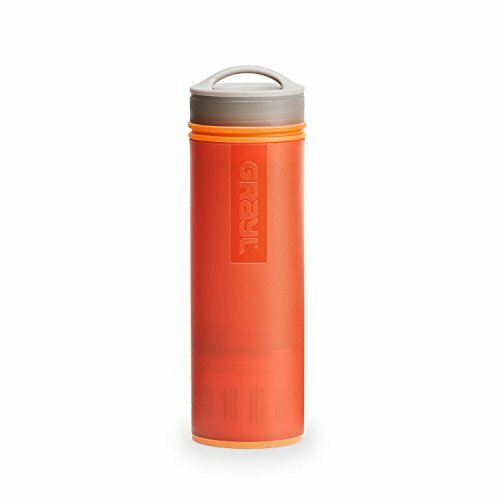 Tap water may be questionable to some stomachs, but we drank it the entire time with our LifeStraw Go water bottle filters and never had an issue. Precaution against Malaria should be taken seriously in Mozambique, especially if you are in well populated and wet areas. Cerebral malaria is common in the country especially during the wet season. Don’t be that person who gets malaria on their holiday – protect yourself and ask around you if the mosquitos are bad where you are at. If traveling from South Africa, doxycycline can be acquired for quite affordable prices even if you are a non-resident and is a good prevention drug for malaria. It’s also worth noting that malaria treatment pills are available at any Mozambican pharmacy without a prescription for about 300-500 mets. We took advantage and stocked up for the rest of our African travels (but never ended up needing to take them). Always make sure to take the proper health precautions when traveling to Mozambique and the rest of Africa. 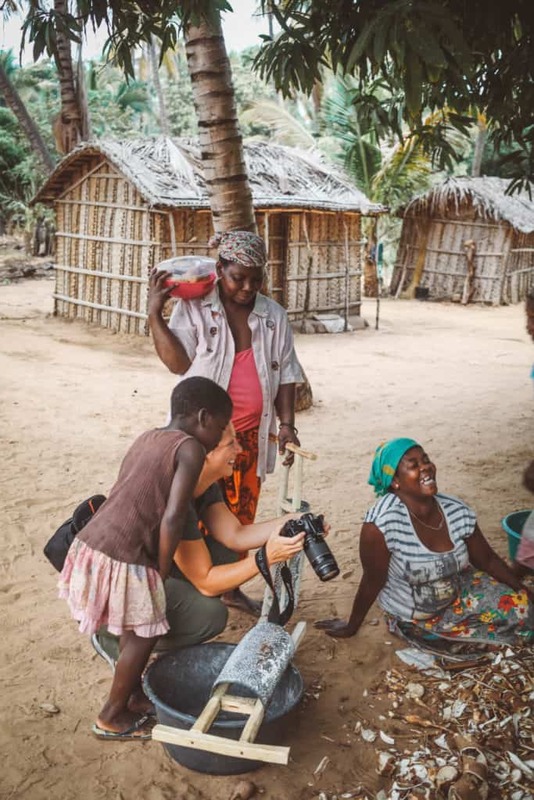 The official language in Mozambique is Portuguese, and knowing some of the basics will make any experience more enjoyable. However, Mozambique is a land of many languages with many people being multi-lingual. We were able to travel in Mozambique just fine with English. The more rural you get the less you’ll be able to understand, but a smile goes a long way! Tipping in Mozambique never used to be a thing, but since South African holiday goers have come and started leaving tips it is now expected in many touristy places. 10% is a fair amount to leave at restaurants. When staying at private lodges 500 mets per day seems to be a fair price for the staff, but just ask the lodge managers for their recommendation first. 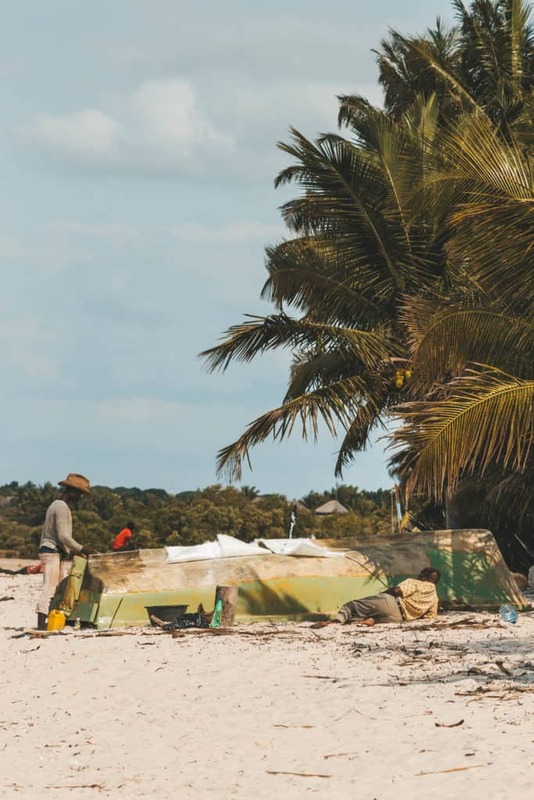 Is Traveling to Mozambique Safe? Is Mozambique a safe place to travel? At the time of writing, there are some safety concerns noted on the Mozambique Wikitravel page, with a few Mozambique travel warnings. These safety concerns mostly pertain to the center of the country where Renamo still has a stronghold. Recently tensions have begun to flair and fighting has returned. 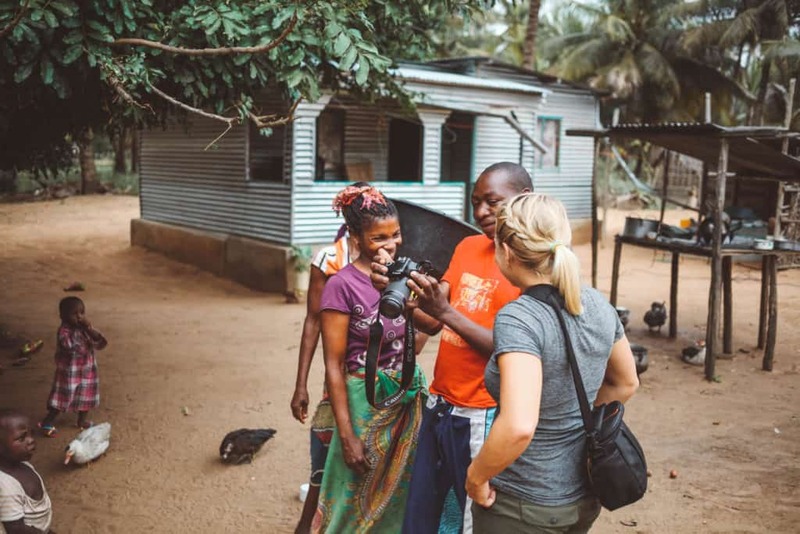 We felt 100% safe while traveling southern Mozambique and felt welcome just about anywhere we went. 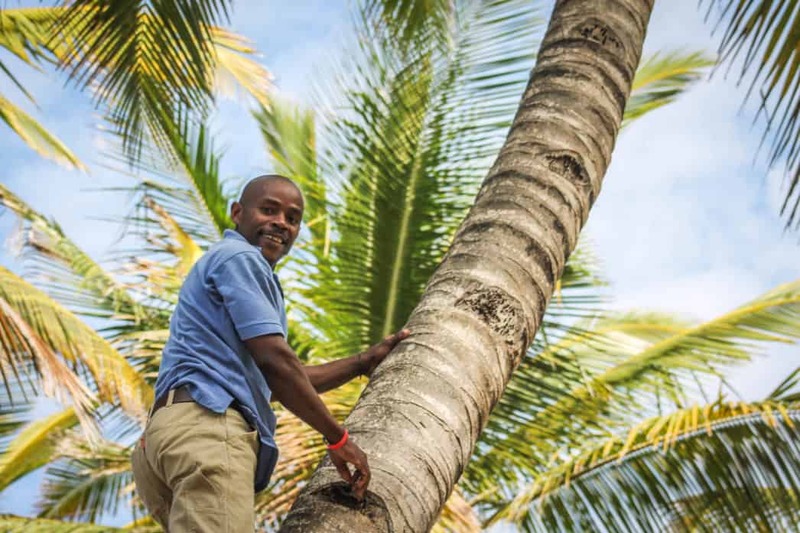 You’re likely to experience no trouble in Mozambique, besides the general annoyances that traveling Africa can bring. Keep your wits and street smarts about you especially in Maputo and all should be fine. Avoid displaying signs of wealth as an opportunist is will always take advantage. I didn’t know this until after traveling all over Africa, but Mozambique is incredibly affordable for Africa standards. There are plenty of accommodation options ranging from budget to luxury. For a basic, but comfortable, double room in Vilanculos and Tofo Beach, we paid $25/night. We then stayed at a luxurious beach hideaway about an hour north of Inhambane with a mid range price point of $150/night (a steal in Africa). Anvil Bay in the Maputo Special Reserve is considered one of the most expensive lodges in Mozambique, and staying here will run you about $500/night. You can find comfort at affordable prices, which is rare in Africa and why I love Mozambique so much. Food is a delicious mix of vegetarian and seafood and is also cheap! Surprisingly our best meal in Mozambique was also our cheapest and was crab curry for $3 at a local shack in Vilankulos. Activities can make or break you. Our most expensive outing was $50 a person and included snorkeling in the Bazaruto Archipelago and having a seafood lunch on Bazaruto Island. This was an experience I was reluctant to pay $50 on, but afterwards I realized it was completely worth it. 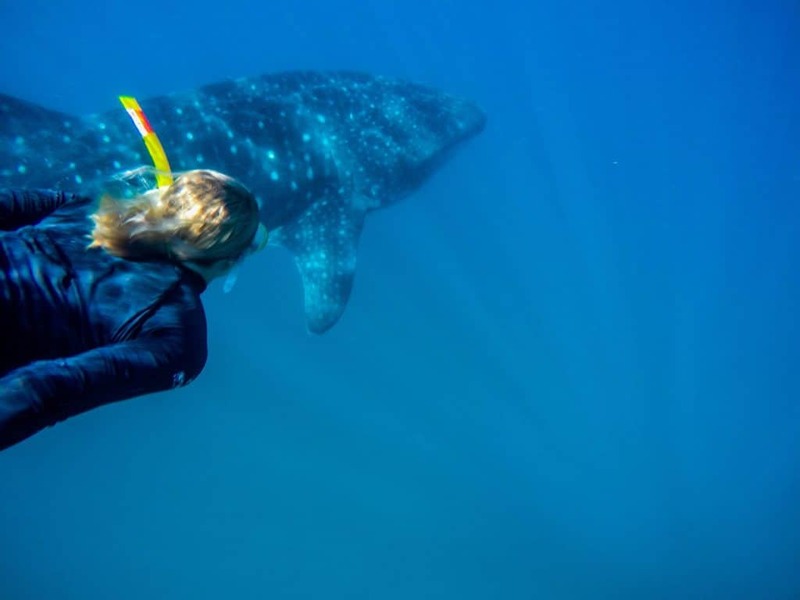 For whale shark diving in Tofo Beach, we paid $30, and this happened to be one of our best wildlife experiences throughout all of Africa! Where to Travel in Mozambique? It is difficult to put into words the beauty of the Mozambican coastline. It felt like most of our time spent on the coast was in complete seclusion. There are a plethora of places to spend your time soaking up the sun, eating some fresh seafood, or having a laugh with the locals. Only in Mozambique did we find such beautiful beaches where hawkers, umbrellas, beach chairs, or people were all absent. 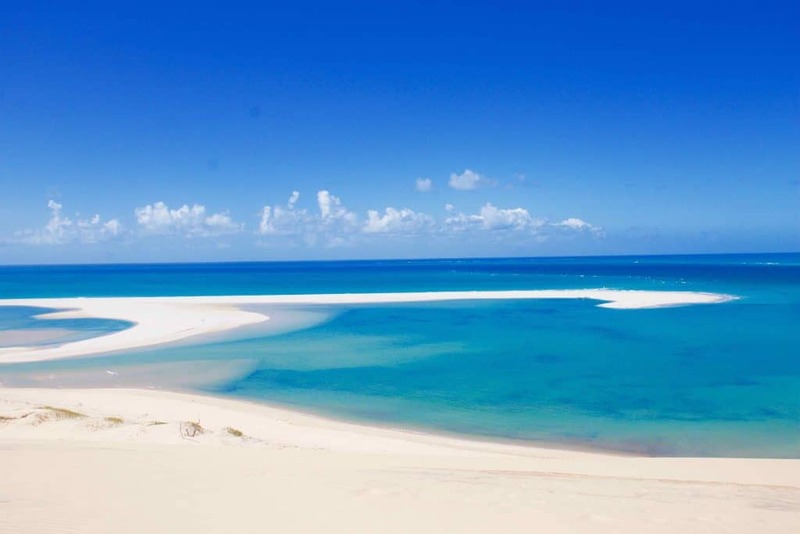 If you need just one reason to travel to Mozambique, let it be the stunning beaches. The Maputo Elephant Reserve lies south of Maputo, the capital city. The reserve is 50,000 hectares of lakes, mangrove swamps, serene beaches and woodlands. The park is wild with deep sand roads making accessible only by 4×4 or the air. Elephants and rhinos used to roam free here before they were poached during the brutal civil war that lasted 21 years. Although, a few elephants remain and more are being introduced. We spent several days of tranquility in the Maputo Reserve at the beautiful Anvil Bay Beach Camp. We loved every second of our time in the reserve. Our days were spend riding fat bikes down empty beaches, dining on fish caught right off shore, snorkeling over untouched reefs, and taking in some of bird life. To enjoy the reserve you must stay overnight due to lack of accommodation in the area and the difficulty of arrival. That leaves you with staying in one of the few lodges in the reserve or camping. 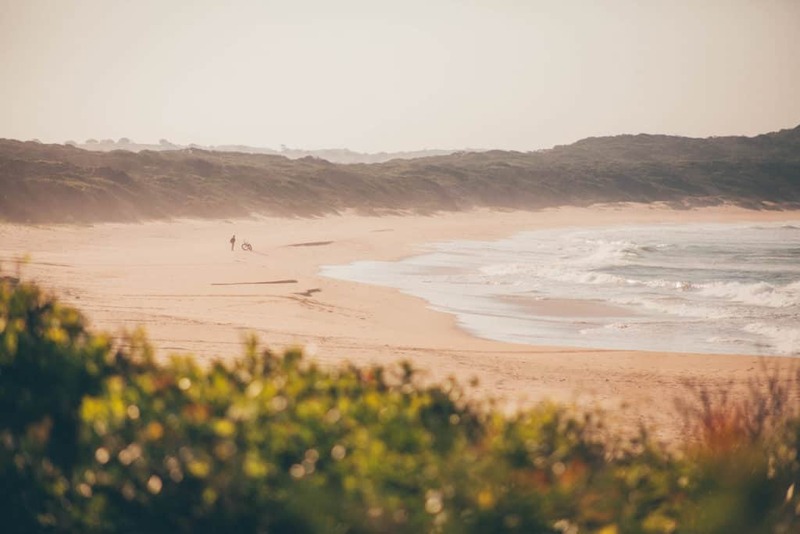 Tofo Beach is as well a beaten path as there is in Mozambique. However, it is for good reason it one of the best places to visit in Mozambique. While the beach is gorgeous it is the famous deep water bay just off its shore that makes Tofo worth the visit. The bay of Tofo is regarded as one of the best places to see megafauna. We traveled to Tofo to see some of the megafaunas and take an ocean safari out into the bay. The ocean safari we took is one of the best experiences of our lives. The day was spent swimming along whale sharks, giant manta rays, and a hammerhead shark. For $30 this experience cannot be beaten. After our full day on the ocean, we grabbed some lunch, hit the beach, and then watched the sunset over the bay as dozens of humpback whales breached just a kilometer offshore. If you’re looking to go too, the best time to dive in Mozambique is typically between May and September when winds are low and megafauna numerous. We traveled there in July/August and could not have timed it better. Check out my Africa packing list for ideas on what to bring. Tofo Beach, however, beautiful it may be, is crowded for Mozambique standards and you may find a slight bit of annoyance from the constant child touts asking you for money every 2 minutes. It actually became amusing warding off these 13-year-olds. One even revealed to me their secret to selling things to tourists. “If I annoy you enough you will eventually just buy something” and “I’ll go away if you just buy something.” We must confess he’s a smart kid, but we weren’t having any of it. Just past the main beach and Casa de Praia, there is a fantastic lookout point to watch the sunset over Tofo. This is where we ended our day after our ocean safari. From the viewpoint, we watched around 40 humpback whales put on a dazzling aerial show. We ended our days on Tofo Beach at another laid back backpacker spot with amazing food. Mozambeats isn’t beach front, but we would stay there again in a heartbeat. We wanted to see even more of the Mozambican coast. Many travelers in Mozambique use a common route of traveling on to Vilakulos after Tofo Bay, but we found ourselves in Morrumbene. 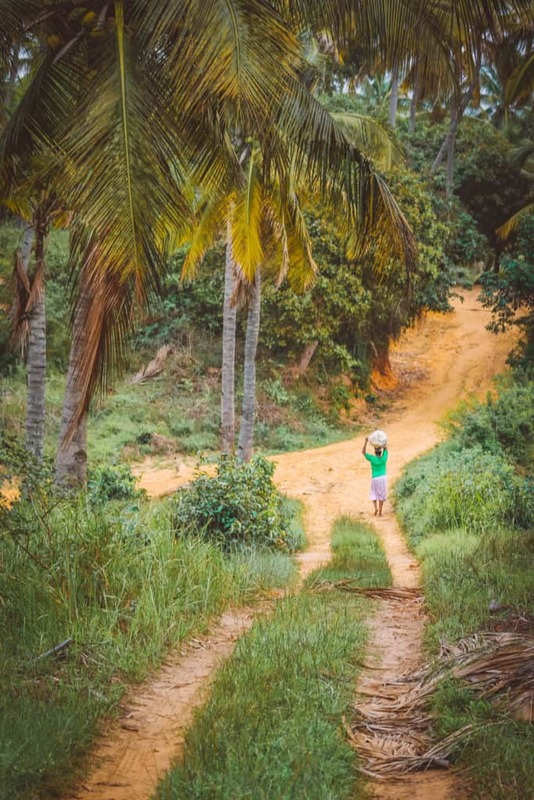 A local village with another untouched coast is where we called Travessia Beach Lodge our home. We loved living five days without shoes and without worry. 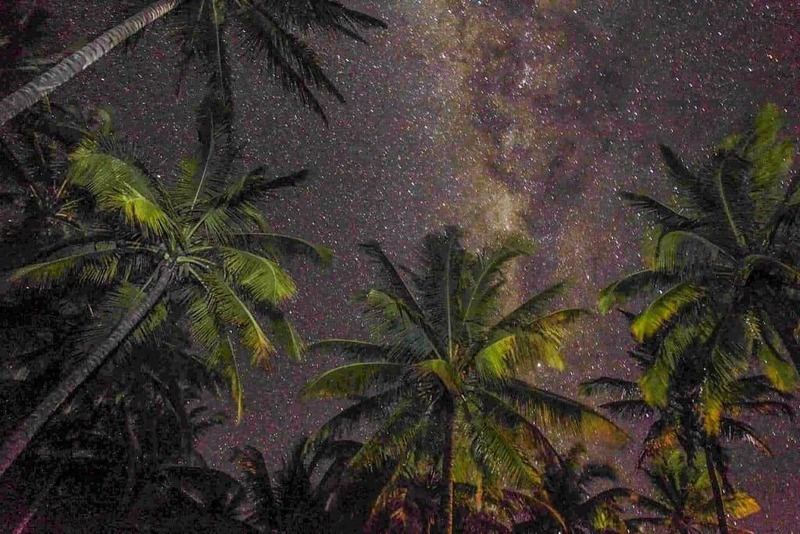 A laid-back barefoot location where you can see the stars in all their glory is my kind of place. Did I mention that the Mozambican people are one of a kind? I usually say that the locals are friendly, or the *insert nationality here* are genuine, but the Mozambicans took us by surprise. From the lodge we were able to visit the local villages in Morrumbene, and everyone we talked to was full of smiles, laughs, and stories to share. They are the kind of people who seemed happy to give us the shirt off their backs, even though they don’t have many material items to spare. If you need another reason to visit Mozambique, it should be for the people. 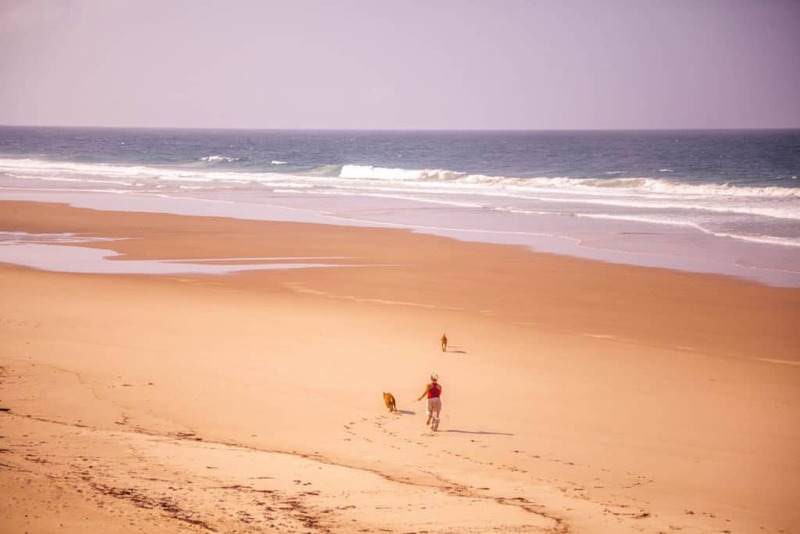 About a four drive north of Inhambane is the town of Vilankulos. 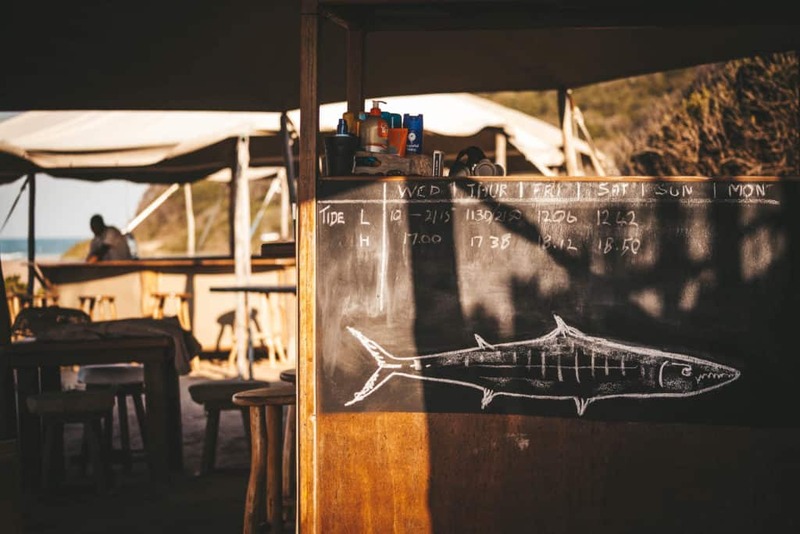 It is the jumping off point for the one of a kind Bazaruto Archipelago. It is home to some of the most scenic islands we have ever laid my eyes on. The horizons here are filled with fine white sand and gorgeous blue water. 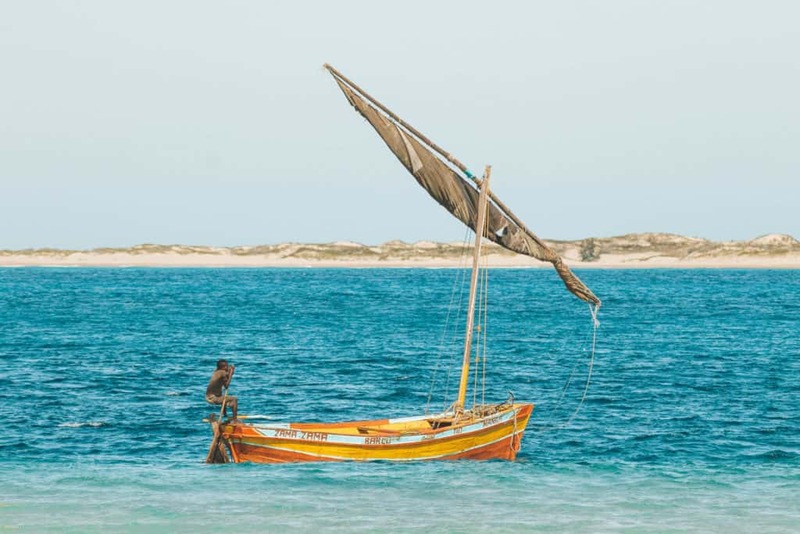 We took a dhow out to Bazaruto island to spend the afternoon exploring the archipelago. If your pockets are deep you can stay at one of the few private lodges on the archipelago, but we decided to stay at Baobab Beach Backpackers and enjoyed the laid back atmosphere there. The beautiful sand here has been deposited by the Save river and continues to shift with the currents. The spectacle here continues beneath the surface as your eyes will be dazzled by a rainbow of colors as soon as you snorkel the famous two-mile reef. Besides seeing Bazaruto we were also seeking to spot an elusive dugong. A dugong, or a “sea cow” as the Mozambicans know them, have one of the highest populations in the area, so we were sure we would see one. Unfortunately, we left Mozambique without ever seeing one, but we know we will be back! They were spotted the day before we went out in search so there is always the chance. Besides the dugongs and the islands, Vilankulos is a pleasant town to spend a couple of days in and just watch life go by. 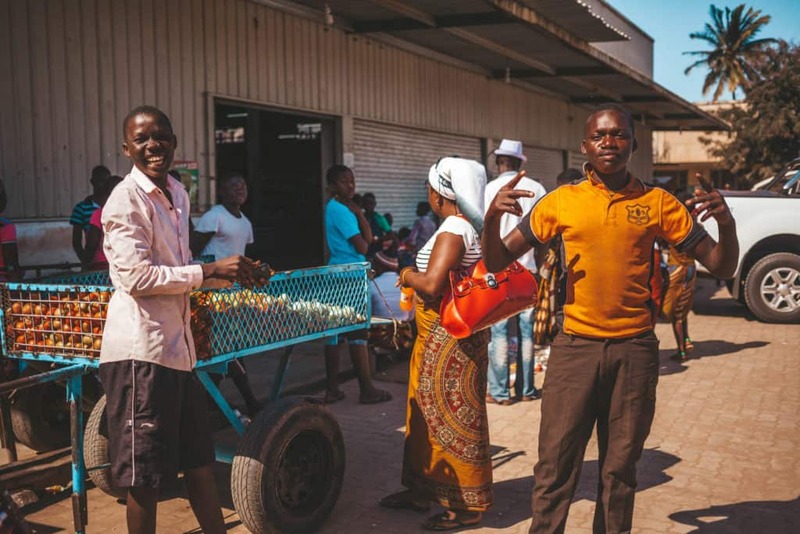 It is a very well worn city on the Mozambican travel circuit so you are bound to meet other travelers if alone. We tried to avoid the capital city, as we are just not big city type of people anymore. We did manage to spend a couple hours here and found traffic to be hectic, overpriced, and overpopulated with police. However, for anyone traveling to a few destinations in Mozambique, then Maputo will probably sneak its way into the itinerary at some point. Either on your way in or out of the country. 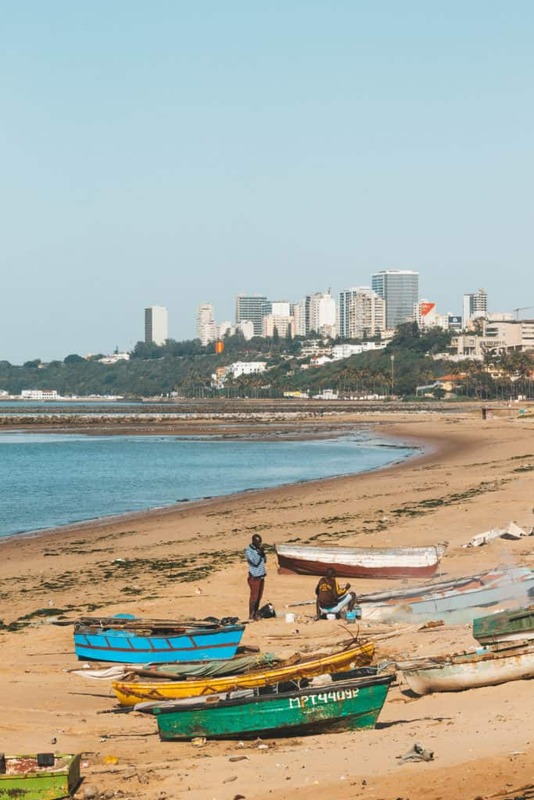 It’s one of the more interesting African capital cities for what it’s worth, but I probably wouldn’t spend much time here unless you want a night out at the bars. If you’re going on safari you will 100% want a good pair of binoculars to see all the game. See our favorite safari binoculars here. 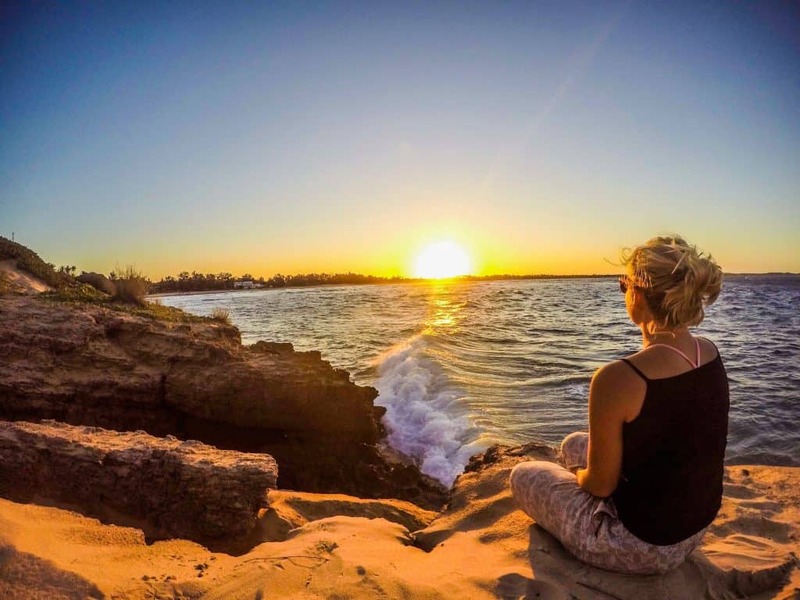 Traveling Mozambique on your own can be daunting to many travelers. However, there is no need to fear with overland tour companies who will show the ropes and a great time. You can check out some of them here to compare the different companies and possibly score a discount.